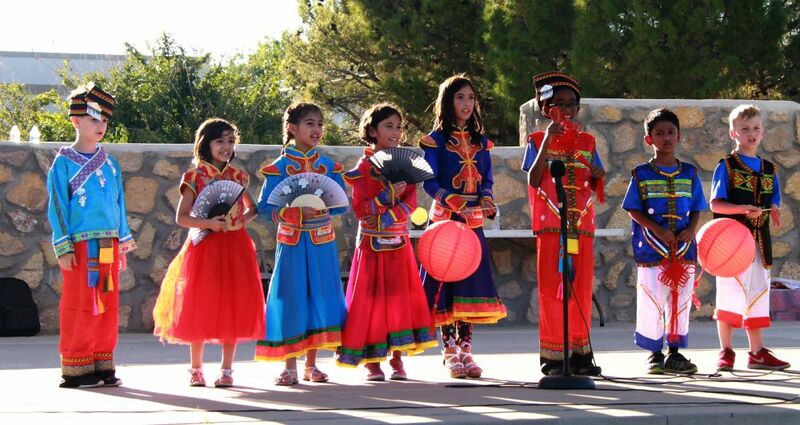 Saturday, 29 September 2018: Our students, of all ages and experience in our Chinese classes, performed on the NMSU campus. The festival was sponsored by the Confucius Institute and the Chinese Students and Scholars Association of NMSU. With only 2 weeks to prepare, out students did a great job. Kudos to our wonderful Mandarin teacher, Yulin Zhang! Thanks to Chinese side director of the Confucius Institute, Chen Yan, for helping with the students’ costumes; they looked so fine.